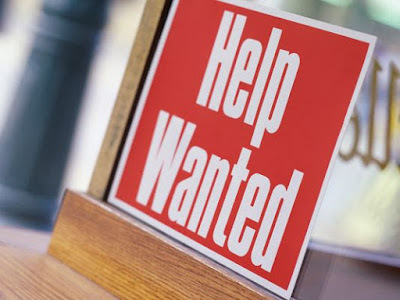 CGCC Connection: Guess Who is Hiring? Get a head start on 2017 with a new job. Here are more than 80 companies, government entities and non-profit organizations collectively advertising more than 25,000 open positions across Arizona this month. Each of these employers is looking to fill at least 100 jobs. Stop by CGCC Career Services for assistance with resumes and interviewing tips. Accenture, hiring 230. The company provides management consulting, as well as technology and outsourcing services. More info: www.accenture.com/us-en/careers/jobsearch. Advantage Sales and Marketing, hiring 150. The marketing company has a variety of sales-related positions available. More info: careers.advantagesolutions.net. Aetna, hiring 130. The health-care benefits company has openings ranging from customer service representatives to pharmacists. More info: www.aetna.jobs. AlliedBarton Security, hiring 160. The security services company has openings for security officers. More info: jobs.alliedbarton.com. Amazon.com, hiring 200. The online retailer is adding help at its Phoenix warehouse. More info: workatamazonfulfillment.com. American Express, hiring 170. The financial services company is adding jobs in the Phoenix area. More info: careers.americanexpress.com. Aramark, hiring 200. The food service and uniform maker has jobs available from cashier to information technology. More info: aramark.com/careers. Department of Economic Security, hiring 130. The state agency has openings ranging from secretaries to case managers. More info: jobs.azdes.gov. Arizona State University, hiring 320. The state university is filling an assortment of jobs, from receptionists to faculty instructors. More info: cfo.asu.edu/hr-applicant. Army National Guard, hiring 140. The guard is looking for positions ranging from infantry to analysts. More info: jobs.nationalguard.com/ngb/browse_by_state/Arizona. Bank of America, hiring 410. The bank and financial services company is adding positions in the Phoenix area. More info: careers.bankofamerica.com. Banner Health, hiring 1,580. The non-profit company operates hospitals and other medical services. More info: www.bannerhealth.com/Careers/Job+Search+and+Apply/Job+Search.htm. Best Version Media, hiring 270. The neighborhood information publishing company has openings in publishing, sales and design. More info: bestversionmedia.com. Brookdale, hiring 230. The company is hiring for positions from nurses to social services directors. More info: www.brookdalecareers.com. Celadon Trucking, hiring 850. The trucking and transportation company is adding drivers and other positions. More info: http://www.driveceladon.com/. Chico’s, hiring 230. The fashion retailer that operates Chico’s, White House Black Market and Soma has openings for store managers and sales associates. More info: jobs.chicos.com. Chipotle, hiring 250. The Mexican-themed restaurant is hiring for a variety of positions. More info: careers.chipotle.com. City of Phoenix, hiring 160. The city has openings ranging from accountants to police. More info: www.phoenix.gov/employment. Community Health Systems, hiring 250. The health-care company is adding jobs in Tucson from nurse practitioner to scheduling clerks. More info: www.careershealthcare.com. CRST International, hiring 460. The trucking and transportation company is adding drivers and other positions. More info: www.crst.com/careers/opportunities/. CVS Health, hiring 720. The company operates pharmacies and retail centers across the country. Locations in metro Phoenix, Tucson, Prescott, Lake Havasu City and Yuma have openings. More info: jobs.cvshealth.com/article/retail-jobs. Deloitte, hiring 160. The consulting and financial advisory company has openings ranging from cyber-risk consultant to SAP HR manager. More info: http://jobs.deloitte.com/phoenix-jobs. Department of Veterans Affairs, hiring 200. The Tucson and Phoenix offices have openings. More info: www.tucson.va.gov/careers/index.asp. Dignity Health, hiring 680. The medical center seeks speech pathologists, certified nurse midwives, social workers and physicians in the Phoenix area. More info: dignityhealthcareers.org/careers/jobs. Dish Network, hiring 200. The satellite television company is adding jobs from account managers to installers. More info: careers.dish.com. Domino’s, hiring 500. The pizza delivery company is hiring drivers, customer service representatives and managers. More info: jobs.dominos.com/dominos-careers. Edward Jones, hiring 320. The financial services company has openings ranging from insurance service specialists to team leaders. More info: http://careers.edwardjones.com/index.html. Freeport-McMoRan, hiring 230. The mining company has openings ranging from chemist to mechanic. More info: http://fmjobs.com/. Fry's Food Stores, hiring more than 1,170. The grocer with 119 locations in Arizona is part of the Kroger chain. More info: jobs.frysfood.com. General Dynamics, hiring 240. The aerospace and defense company has openings ranging from software engineers to customer service representatives. More info: http://www.generaldynamics.com/careers/job-search. Grand Canyon Education, hiring 190. The company operates Grand Canyon University, a private, for-profit Christian school. More info: jobs.gcu.edu/jobs. Great Clips, hiring 150. The company operates hair salons across Arizona. Locations with openings include Casa Grande, Buckeye, Mesa and Phoenix. More info: www.greatclips.com. Hilton Worldwide, hiring 230. The hotel and resort operator is adding jobs from housekeeper to engineer. More info: jobs.hiltonworldwide.com. Home Depot, hiring 330. The home improvement and construction retailer is adding positions in the Phoenix area. More info: careers.homedepot.com. Honeywell, hiring 150. The aerospace company has openings ranging from engineer to marketing associate. More info: http://www.careersathoneywell.com/. HonorHealth, hiring 670. The company operates acute-care hospitals and outpatient centers, among other medical services. More info: jobs.honorhealth.com/jobs-page. IASIS Healthcare, hiring 230. The acute-care health company has openings from admitting managers to business analysts. More info: jobs.iasishealthcare.com. Indian Health Service, hiring 520. The government agency is hiring for positions ranging from administrative support to physician. More info: www.ihs.gov/jobs/index.cfm. JCPenney, hiring 350. The retailer is adding positions in Tucson. More info: jobs.jcp.com. JPMorgan Chase, hiring 370. The bank and financial services is adding positions across Arizona. More info: careers.jpmorgan.com. Knight Transportation, hiring 220.The trucking and transportation company is adding drivers and other positions. More info: http://www.knighttrans.com/Careers/. Legacy Traditional Schools, hiring 250. The charter school has openings ranging from teachers to food services. More info: careers.legacytraditional.org. Lockheed Martin, hiring 140. The defense manufacturer has openings ranging from material handler to systems administrator. More info: www.lockheedmartinjobs.com. Lowe’s, hiring 150. The home improvement and construction retailer is adding positions in the Phoenix area. More info: jobs.lowes.com. Maricopa Community Colleges, hiring 120. The school system has openings ranging from systems administrator to student services specialist. More info: https://hr.maricopa.edu/jobs. Maricopa County, hiring 100. The county has openings ranging from custodians to dietitians. More info: https://jobs.maricopa.gov/. Maricopa Integrated Health System, hiring 170. The system is hiring for positions ranging from radiologists and registered nurses to appointment schedulers and food-service workers. More info: jobs.mihs.org. Marriott, hiring 440. The hotel and resort company is hiring various positions at all levels across the state. More info: jobs.marriott.com. Mayo Clinic, hiring 190. The hospital has positions ranging from instrument technician to pharmacist. More info: www.mayoclinic.org/jobs/locations/arizona. McDonald's, hiring 260. The restaurant chain is adding positions. More info: www.mcdonalds.com/us/en/careers.html. Northern Arizona Healthcare, hiring 110. The health system has openings for positions ranging from accounting to nurse practitioner. More info: nahealth.com/careers/current-positions. Northwest Medical Center, hiring 110. The Tucson hospital has openings ranging from scheduling clerk to registered nurses. More info: jobs.northwestmedicalcenter.com. Oracle, hiring 780. The company provides cloud applications, platform services and engineered computer systems. The company is adding jobs in Phoenix and Tucson. More info: www.oracle.com/corporate/careers. Orbital ATK, hiring more than 100. The aerospace and defense company is looking for candidates for positions ranging from engineers to inspectors. More info: www.atk-jobs.com. Panther Premium Logistics, hiring 340. The transportation company has openings for territory managers and other positions. More info: http://join.pantherpremium.com/HR. Paradise Valley Unified School District, hiring 110. Paradise Valley schools are seeking to fill positions ranging from coaches to teachers and support staff. More info: www.pvschools.net/Page/158. Peoria Unified School District, hiring 150. The Northwest Valley school system is filling jobs for a range of positions, from custodians to teachers. More info: applitrack.com/peoriaud/onlineapp. PetSmart, hiring 170.The company provides pet supplies and services. More info: careers.petsmart.com. Pizza Hut, hiring 430. The pizza restaurant and delivery chain is adding jobs in the Phoenix area. More info: jobs.pizzahut.com. Raytheon, hiring 650. The company specializes in defense, civil government and cybersecurity. The jobs are mainly in the Tucson area. More info: jobs.raytheon.com. Regis Corp., hiring 160. The hairstyling company that operates Supercuts, SmartStyle and other salons has openings for stylists and management positions. More info: http://www.regiscorp.com/NA/Careers/. Republic Services Inc., hiring 110. The garbage collection company is filling positions ranging from drivers to analysts. More info: republicservices.jobs. Sears Holdings Corp., hiring 250. The company includes Sears, Kmart and related brands. More info: jobs.sears.com. Sonora Quest Laboratories, hiring 110. The laboratory system is adding positions ranging from laboratory technicians to sales and marketers. More info: www.sonoraquest.com/careers. Sprouts Farmers Market, hiring 200. The Phoenix-based grocer is adding positions ranging from cashier to store manager. More info: www.sprouts.com/web/guest/careers. Starbucks, hiring 150. The coffee company has openings ranging from barista to store manager. More info: www.starbucks.com/careers. State of Arizona, hiring 350. The government is filling positions ranging from customer service jobs to grant coordinators. More info: azstatejobs.azdoa.gov. Swift Transportation, hiring 680. The trucking and transportation company is adding drivers and other positions. More info: joinswift.com. Taco Bell, hiring 400. The restaurant chain is adding positions in the Phoenix area. More info: jobs.tacobell.com. Target Corp., hiring 190. The retailer is adding positions across the state. More info: jobs.target.com. Tenet Healthcare, hiring 650. The company that includes Abrazo Community Health Network operates hospitals, outpatient centers, among other health services. More info: tenethealth.com/careers/join-our-team. Toys “R” Us, hiring 170. The toy and baby products retailer has 13 stores in the Phoenix and Tucson areas. More info: www.toysrusinc.com/careers. Tucson Medical Center, hiring 190. The hospital is looking to fill positions ranging from registered nurses to security officers. More info: jobs.tmcaz.com. Tucson Unified School District, hiring 460. The school system is looking for candidates for positions ranging from teachers to custodians. More info: jobs.tusd1.org. UnitedHealth Group, hiring 350. The medical insurer is hiring for positions ranging from phone-service representatives to nurse practitioners. More info: careers.unitedhealthgroup.com. University of Arizona, hiring 630. The university is adding positions in Tucson ranging from counselors to research assistants. More info: uacareers.com. UPS, hiring 160. The package delivery service has openings for package handlers and supervisors. More info: https://www.jobs-ups.com/. US Bank, hiring 140. The bank is hiring for positions ranging from teller to small business specialist. More info: www.usbank.com/careers/index.aspx. Walmart, hiring at least 100. The retailer has a variety of positions available across the state. More info: careers.walmart.com. Washington Elementary School District, hiring 110. The school district is hiring teachers, psychologists and nutrition workers. More info: jobs.wesdschools.org/jobs. Wells Fargo, hiring 850. The company provides banking and other financial services. More info: wellsfargojobs.com.